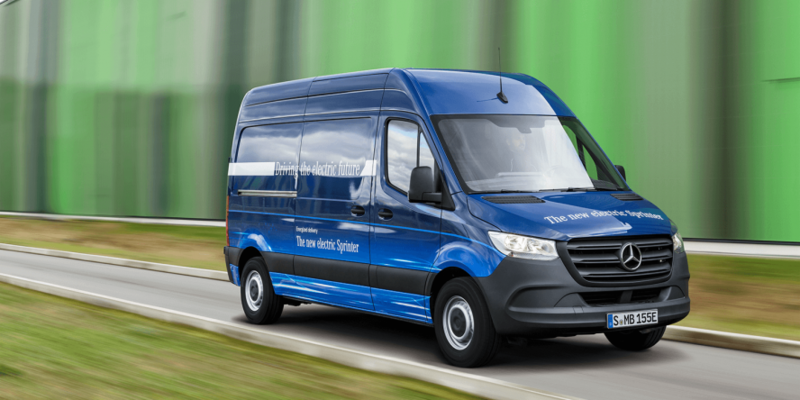 Mercedes initially revealed their new Sprinter in February, and delivered a photo series presenting the electric version. The technical details, however, were left unspecified at the time. In a press conference, Mercedes now decided to reveal further details of the vehicle. It will be about 6 meters long, with a wheel span of almost four meters, a loading capacity of 10.5 m³ and a total weight allowance of 3.5 tons. The eSprinter is mostly designed for inner-city traffic. 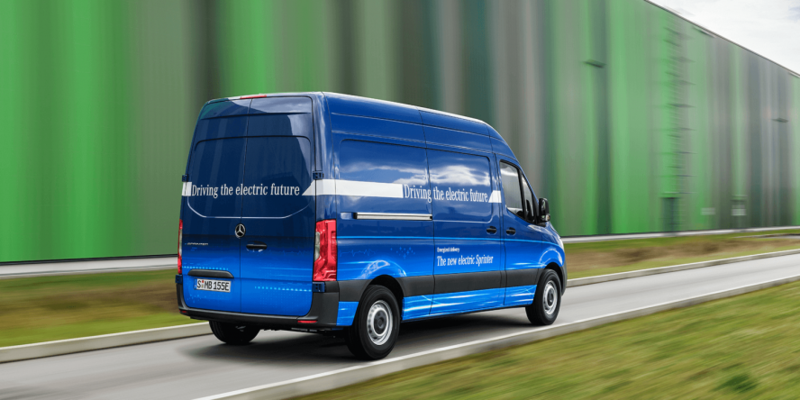 The 55 kWh battery allows for a range of 150 km and a maximum load of 900 kg. The charging time at a 7.2 kW station is stated to be 8 hours. Alternatively, the 41 kWh version allows for only a 115 km range, but has a higher weight allowance of 1,040 kg instead. The charging time for the smaller battery is set at six hours. According to the manufacturer, both vehicles are fast-charging capable, and the ranges have been tested in difficult conditions as well, such as low temperatures and a full load. With a drive power of 84 kW the vehicle is just as powerful as the diesel version. The top speed is 80, or alternatively 120 km/h. 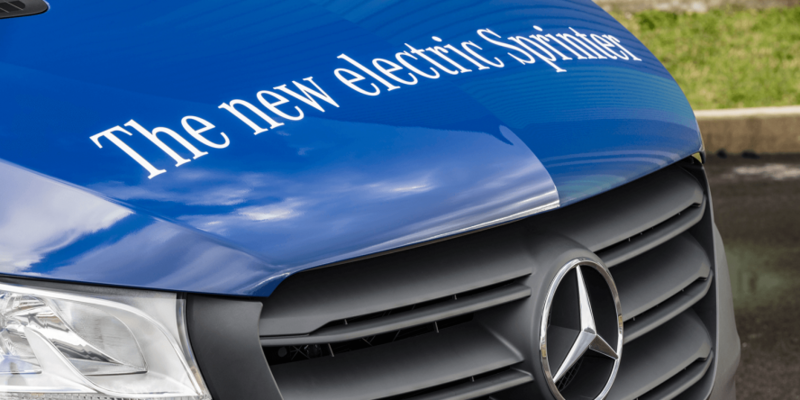 The eSprinter will be following the eVito, which is being released in the second half of this year. 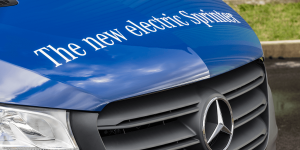 Mercedes explained that the duo will drive the electrification of commercial fleets, which they hope to facilitate by offering their expertise in charging infrastructure construction and individualization for customer needs. 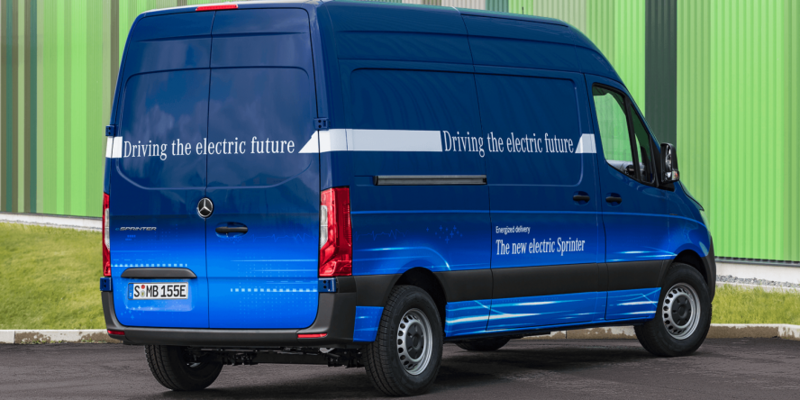 Benjamin Kaehler, the head of the electric motor unit, stated that the vehicle needs to have a total operating cost similar to a comparable diesel vehicle, which the eSprinter and eVito fulfill. 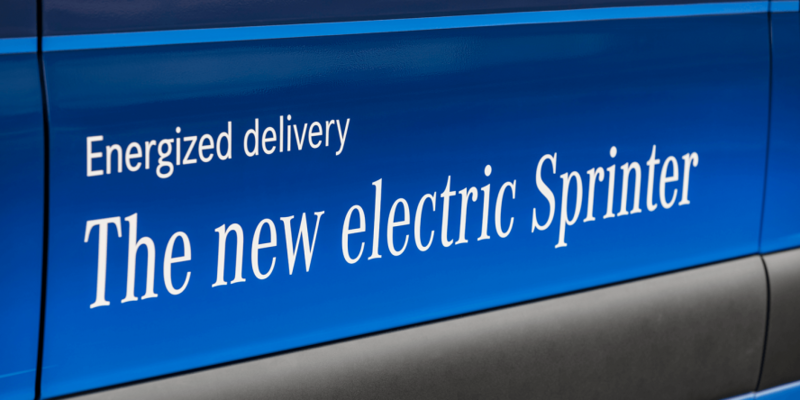 Growth in the sector can only happen if the use of electric vehicles is commercially viable. The relatively high acquisition costs are offset by the relatively low energy and maintenance costs, as well as tax subsidies. 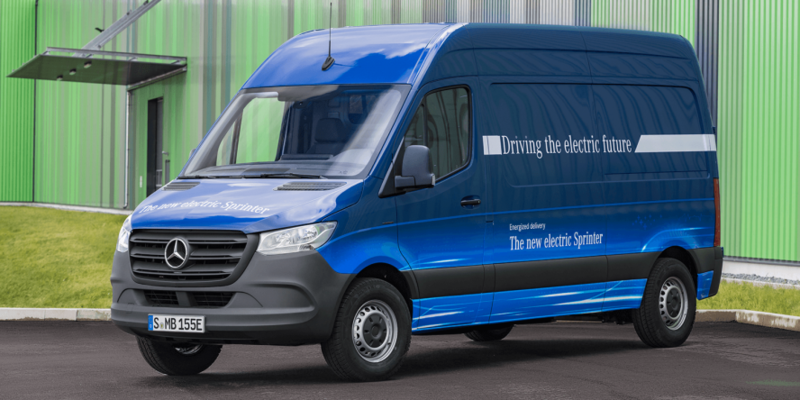 The head of Mercedes Benz Vans, Volker Mornhinweg, is convinced that electric mobility is winning the battle, particularly in the cases of urban areas. 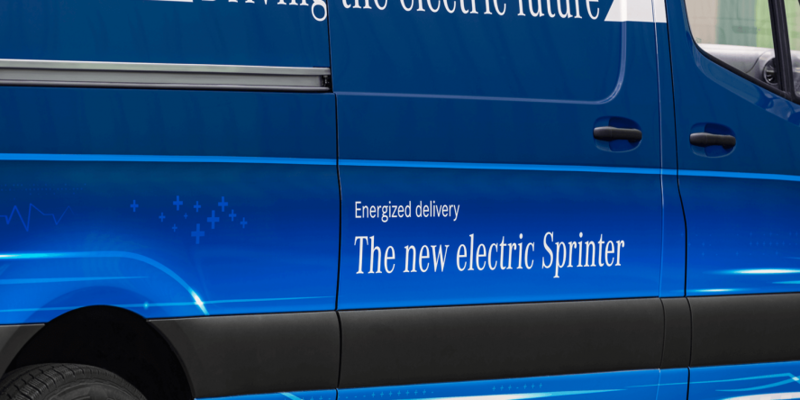 He said that they have demonstrated their commitment to electrification with the eVito, and the eSprinter is now set to really set that in stone.